One of the first points that sellers raised when Indian Online Seller (IOS) asked them to review online marketplaces’ return policy was, ‘Why customers need 30 days to decide if they want to return the product?’ That was back in 2015. It is 2017 now. Sellers are still asking the same question because the 30-day return policy is alive and kicking. IOS asked sellers if they have changed their opinion or the policy still doesn’t make sense and sounds illogical to them. Here’s what we discovered. For product categories such as clothing, shoes, handbags, eyewear, watches, and luggage, the returns policy is 30 days (Flipkart and Amazon India). Whereas, for the rest such as books, mobile phones, tablets, computers & accessories, home & kitchen items, large appliances, it is around 10 days. Snapdeal has a 7-day returns policy. 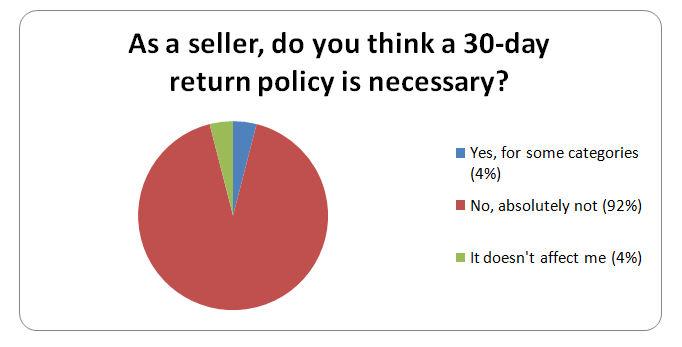 IOS did a quick survey to find out if sellers think that a 30-day return policy is required. We received responses of 300 members of merchants’ lobby group All India Online Vendor Association (AIOVA). And the answer was a resounding No! 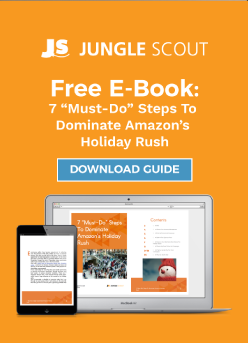 The vast majority of sellers said that no, it is not needed. Sellers listed out the reasons one by one. 30 day returns allows customers to order expensive bridal jewellery, which they wear on the occasion they ordered it for. Then they file a return request and send it back. And since they don’t pack it with as much care as we do, more often than not, the jewellery we receive back is broken/damaged in transit. Filing claims for the same has become virtually useless. While I never faced any issue due to 30 days return policy, I feel that giving too much time to consumer doesn’t provide any value add. Now delivery time across has improved a lot. So it’s time to relook at the return policy. Most online marketplaces are not very clear on ‘why 30 days’? What’s the logic? I mean unless there is some warranty linked to that product where there is a condition applicable that you can use it for 30 days and if any defect is detected then you can return it within 30 days. That obviously is not applicable to 30 days return policy products. The returns should be flexible only if the cost is not entirely borne by the seller… As we are seeing lot of info on frauds done by buyers by replacing the original product with duplicate or customer stating empty box received. We have also seen on the last day of closing return window, buyer raise return request. And marketplaces accept the return request at the cost of sellers. Return policies currently include shipping time within the time frame of return. Thus they have to include a wide range of durations from a few hours to 10-15 days. Hence, the 30 day return policy grew popular. But since logistics industry has come a long way technologically, now delivery intimations to the marketplace are almost in real time with most of them using mobile app based connected devices. So now return policies can be implemented from date of delivery. 2-3 days is more than sufficient for a customer to decide whether he likes what he received or not, and wants to keep it or return it. What’s the ideal returns window? IOS asked sellers to pick a return window for their respective product categories. From apparel to jewellery, from footwear to beauty, 300 vendors from across all product categories voted for their choice of window. IOS gave them three options: 7 days, 15 days or 30 days. Many sellers are of an opinion that 48 hours is enough to make a decision. Few also suggested that there shouldn’t be a return policy – no returns! But IOS also wanted to know buyers’ views about this topic. There are no points for guessing that customers hugely benefit from 30 days returns window. 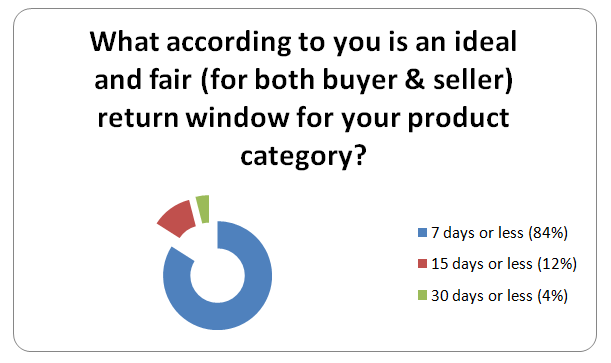 We asked avid online shopper Sachin Anchan that as a customer would a return window period of less than 30 days be enough and fair, for both buyer and seller? “On the other hand, return period for products like cell phones and other electronics should be increased to 30 days. Electronics items have tendency of malfunctioning and only after using it for certain amount of time one can determine if the product is working fine,” Sachin adds. He raised a valid point about increasing returns window for electronics. A customer has the option to test the product in a retailer’s shop before the billing. If the product turns out to be defective, then they can get another product right then and there. But in case of an online store, a customer is billed before he/she gets the chance to use the product. IOS requested Sachin to share a personal experience where the 7-10 days returns policy caused inconvenience or he got stuck with a defective product. Returns policy of online stores would have to be more flexible? We asked sellers that since customers can’t touch/feel/test the product before buying, returns policy of online stores would have be more flexible (and long window) compared to retail stores? Offline retailers also offer 30-day returns, so why not online? Popular retail chains like Lifestyle Store, Shoppers Stop, Zara and others offer 30 days return and exchange. But they are very clear about the condition of the returned item. It has to be ‘new, unworn, unwashed, and unaltered merchandise with all internal garment tags intact’. 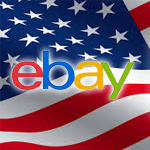 Online marketplaces and fashion etailers too have the abovementioned condition written on their website. But neither ecommerce players nor logistics firms actually care about the condition of the returned goods. This is why e-sellers are not fans of the 30 days policy. “Marketplaces seldom check for usage at the time of accepting returned goods and are blindly leaning towards the customer in case of such disputes, at the expense of the seller,” says Tarun. The anonymous seller says that Indian customers don’t read the specifications and FAQs listed on the product pages. As a result, they make wrong purchasing decision, which leads to high returns. 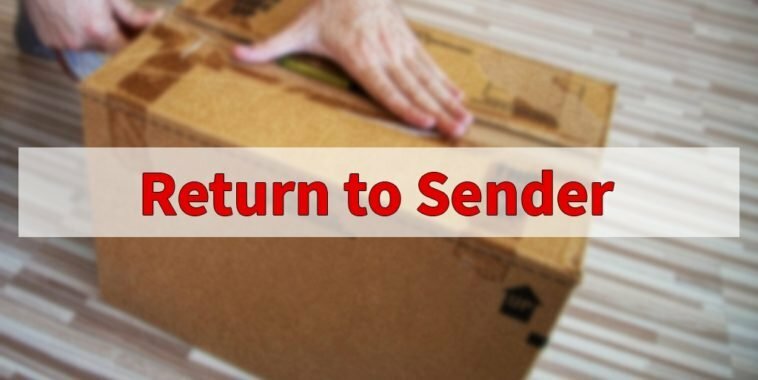 Sellers insist that return policies need to be more vertical-specific and must avoid seller’s exploitation while still allowing genuine consumer returns. Customers should be given enough room to try, test, touch and feel, but not at the cost of sellers. According to AIOVA, after a small 3 or 7 day free window, if a customer asks to return goods, a small penalty should be charged for each day after this window. The lobby group says that only genuine returns need to be encouraged and sellers should be allowed to communicate with buyers. Sellers, would you like to add to the suggestions list? Please leave your comments below.